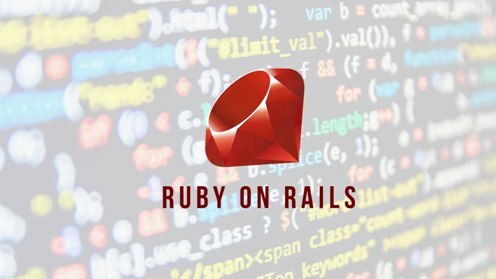 Ruby was developed by Yukihiro Matsumoto in 1993 as an object-oriented scripting language, with the goal to be more powerful than Perl, and more object-oriented than Python. Ruby on Rails came out of the development of a particular web application, Basecamp, in the year 2004. It uses the Model-View-Controller architecture to organize the application code base. It is most famously known for its emphasis on Convention over Configuration and Don't Repeat Yourself. It has proven to be a solid and versatile tool for the rapid development of web applications, which are still robust in the maintenance phase of a project. Ruby on Rails is primarily suited for database-driven websites. There are websites that simply offer information that is updated only by the website owner and only sporadically. This is best served by a standard blog engine like Wordpress, or even a simple static site. If your web application has users creating, updating, or accessing data, interacting with each other or dynamically accessing other systems, you most likely need to store the dynamic data in a database, and add a software stack in front of it to turn the data into viewable web pages, or to translate form data submitted by users into database updates. Ruby on Rails can be deployed as a powerful part of such a software stack. It supports the Agile development methodology, which translates into rapid development. At the same time, Ruby on Rails is excellent even for building complex applications and leads to a maintainable code base, when it comes to future updates. In our experience (see our list of productions), Ruby on Rails excels as a framework for building powerful web applications in an intuitive development environment. It makes development more efficient and less troublesome. It is not uncommon for Ruby on Rails based solutions to be both less costly and faster to deliver.